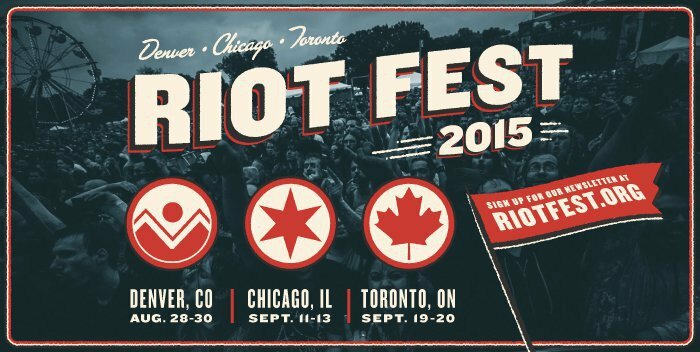 Christmas has moved from December to May this year, and tonight is the night Santa gives us all the one thing we have been demanding: The lineups for Riot Fest 2015. The second lineup to be revealed tonight, May 27, was for the Denver event, which takes place August 28-30. Additional bands and details will be revealed in the coming months, but today’s news is certainly enough to warrant you spending every dollar you have to buy tickets as soon as possible. Pixies, Modest Mouse, Ice Cube, Tenacious D, and Run DMC are just a few of the names on the list. View the full lineup from tonight’s reveal below. We will be posting each city’s lineup as it’s revealed, so please keep checking back for additional updates throughout the evening. If you’re going to Denver this September, comment below and let us know! We are currently looking into attending as well.